Effective management of your staff is crucial for your business. For sure, you would not like to deal with unorganized and cluttered windows to manage your staff members. 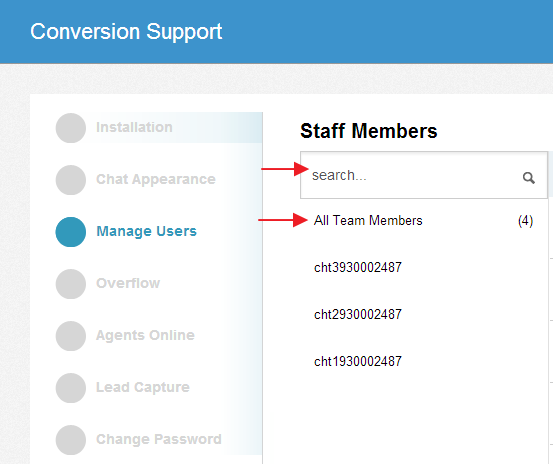 Conversion Support offers a clean and simple interface that helps in easy management of your staff members. 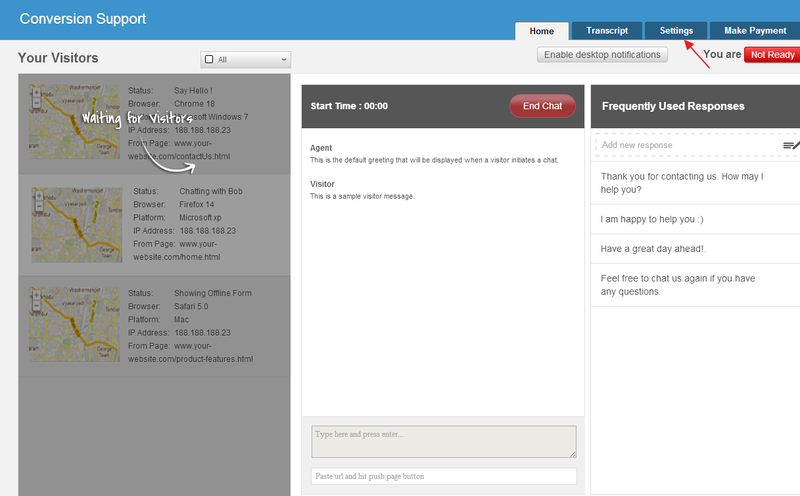 You can start managing your staff in no time. 3. Under “Settings”, click “Manage users”. Staff Members - In “Staff Members, all of your account numbers will be found listed (If you have number of websites, you can get different account numbers created for each website of yours and use the same Conversion Support account). There is a search bar as well for quick search. Agents Skill set - Under different account numbers, different chat agents can be found with their respective skill sets. The skill set represents the competency of the agent. The skill set values can be changed. All Agents - All of your manned agents will be found under “All Agents”. You can switch the account numbers from the drop down menu which is available at the right side of the page. 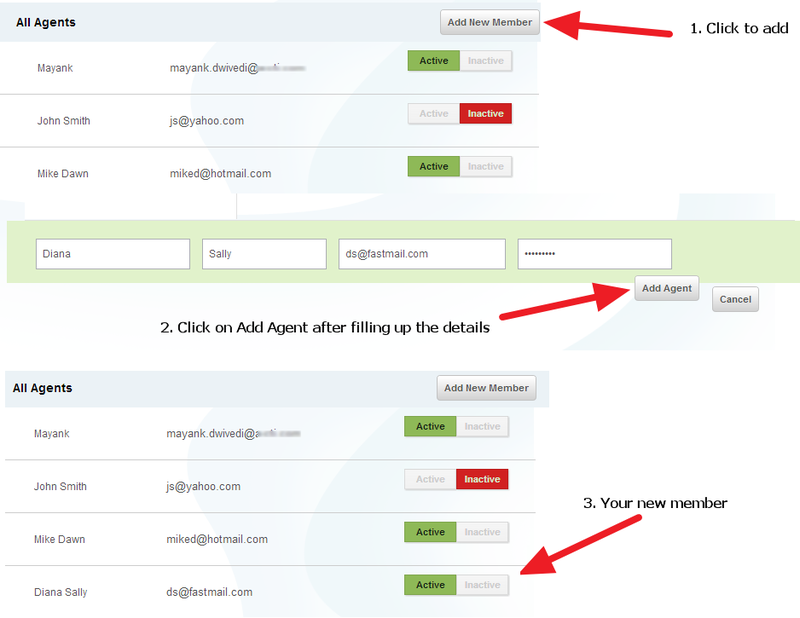 Active / Inactive - You can make an agent “active” or “inactive” with just a single click. “Active” action will be found enabled by default (it means that agent is available to handle chats at the moment). However, you could click on “Inactive” in case a particular agent is not available. Add New Member - You can also add new staff members. Click “Add New Member” from the top right of the page, fill up the details(First name, last name, email address, password) and click “Add Member”. Once the process is completed, you will find the member name listed under “All Agents”. Note: Please note that “Add teams” feature is only available to paid customers. In this feature, you will be able to create different teams and add or transfer members to different teams.